A massive study on the honeymoon period in relationships was reported last March on CBS. And as it turns out, it’s not the one, two, or seven year mark when honeymoon shifts to reality, but rather three. After three years, 67% of couples shift from excitement to annoyance from the very things they found endearing at the beginning…or at the very least tolerable. Apparently, it takes about three years to truly get to know one another…to eat all the meat off the bone so that you can finally nick pick at the core!! 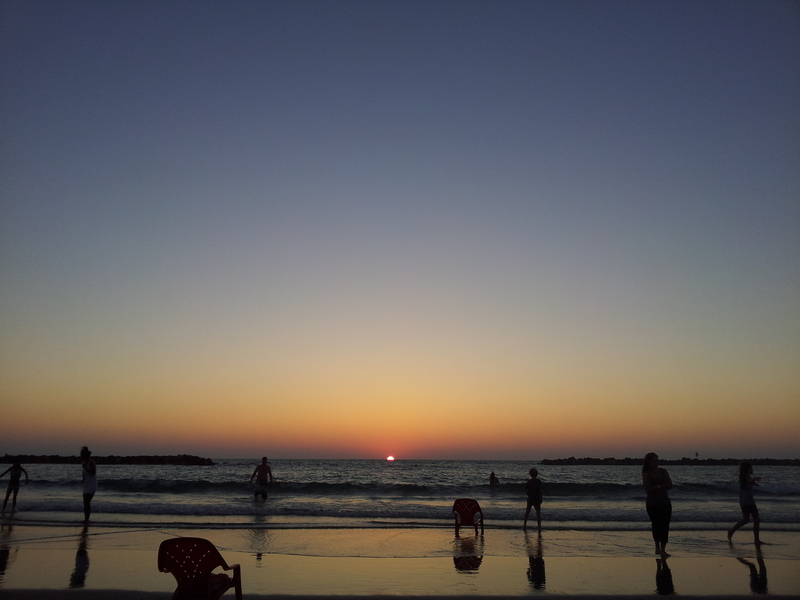 Two months ago, I celebrated the third year with the love of my life…Israel. Overall, we’ve had an extremely healthy relationship. I appreciate her light and joy, giving thanks everyday. I’ve always forgiven her occasional temperament. She’s picked me up in countless moments of worry and loneliness. She continues to teach me crucial lessons. And, she pushes me to be more open, wise, and resilient. BUT, after three long and powerful years, I’ve grown comfortable in this relationship. I’ve built a new career, made life-long friends, and rule a city. I’ve learned a new language, memorized this culture, and, for the most part, conformed to this country. So I can finally afford to take my pink glasses off and ask, now what??!!!!! It’s obvious, I know! The “now what?” is the serious-happy stuff that follows all the heartbreaks, play, and career building in your mid to late twenties. And it requires true love…the one that comes in a human male form. Because this is where Israel has fallen short. Or where perhaps I’ve fallen short. No amount of Zionism, passion for my city, and love for my people can help me resolve (what seems) the irreconcilable difference between me and local human male form. I am American. I am Russian. I am Jewish, with an American/Russian rendition. My home was different than that my neighbors. My immigrant neighborhood was sub-culture to that of San Francisco. San Francisco is sub-culture all together to that of the United States. And three years ago, I ran away from the cultural differences that set me apart from the rest, only to have stumbled upon them again here in Israel. After almost a decade of exclusively dating Israeli men, I’m realizing a yearn to fall back into the comfort of a familiar childhood, home, and language. And after three years, I see that the depth of my love affair with Israel has its limits. I’m not pronouncing a break-up with Israel just yet. But like in any relationship, I’ll have to accept its imperfections. Or else, I’m forced to make difficult decisions that will uncompromisingly lead me to the compatible human male…who can make the serious-happy stuff happen…to my true love. Some relationships lasts a Lifetime. True Love lasts forever.